Khandala is a picturesque hill station, often called the 'Jewel of the Sahyadri Mountains' in India. The hill station is at an altitude of 625 meters above sea level. In 1871, it was discovered by Sir Elphinstone, who was the Governor of Bombay Presidency during those times. Travel and tourism has always been great at the hill station due to its beauty. During monsoons, the natural splendour of this place gets doubled, especially when rain showers wash the entire region creating ponds and making the greenery look all the more lush and appealing. Besides nature's magnificence, Khandala is also famous for the hard candy sweet, Chikki and its delicious fudges, the most popular being the Chocolate Walnut Fudge. 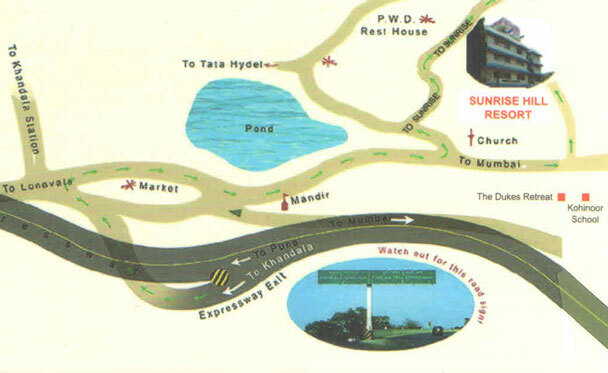 There are many tourist attractions in Khandala that must be visited during your stay! If you are traveling with children then you can go to the Ryewood Park. This is a botanical garden which has now turned into a large picnic garden making it a nice place for lunch. The park is full of trees and wooden structures. The garden has ample space for the children to play. A temple dedicated to Lord Shiva is also built here.